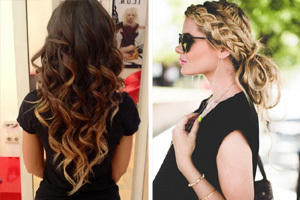 Romantic curls will create the perfect hairstyle for your romantic evening or special occasion. 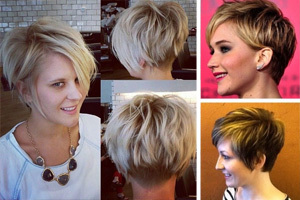 Keep your hair long, chopped into a medium length bob which falls an inch or so below the shoulder length. 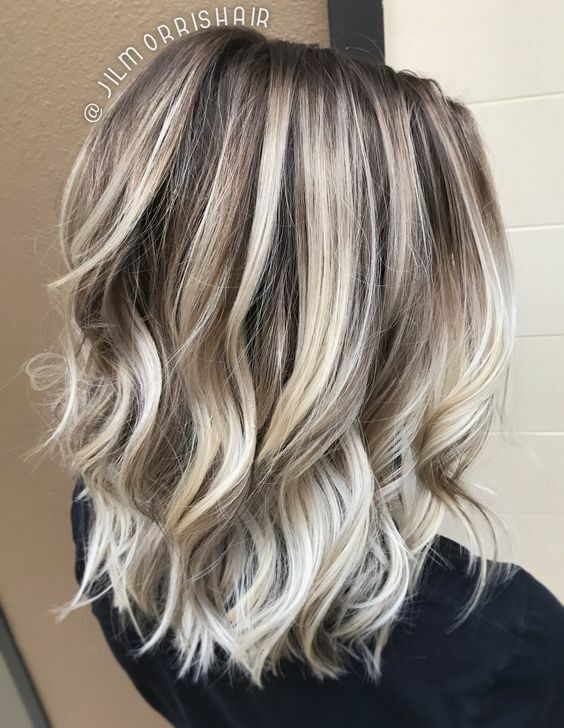 Add stunning white blonde highlights throughout the style. Add stunning ringlets throughout the end of the hair. 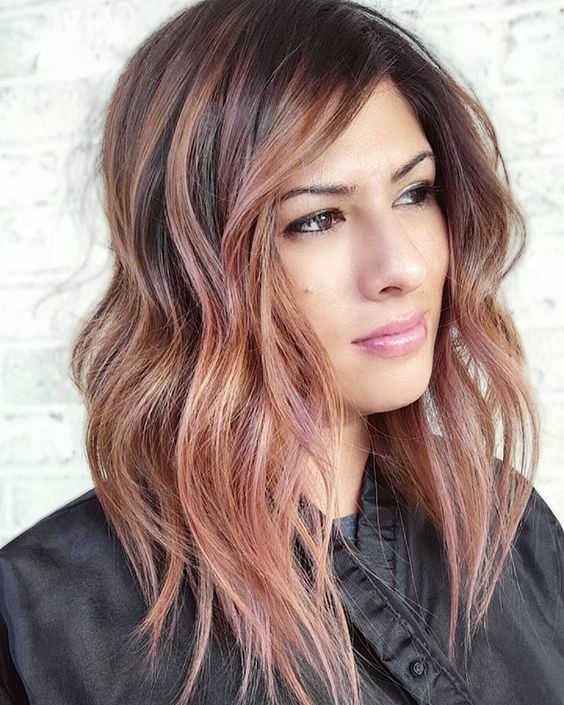 Brown and auburn blend together seamlessly. 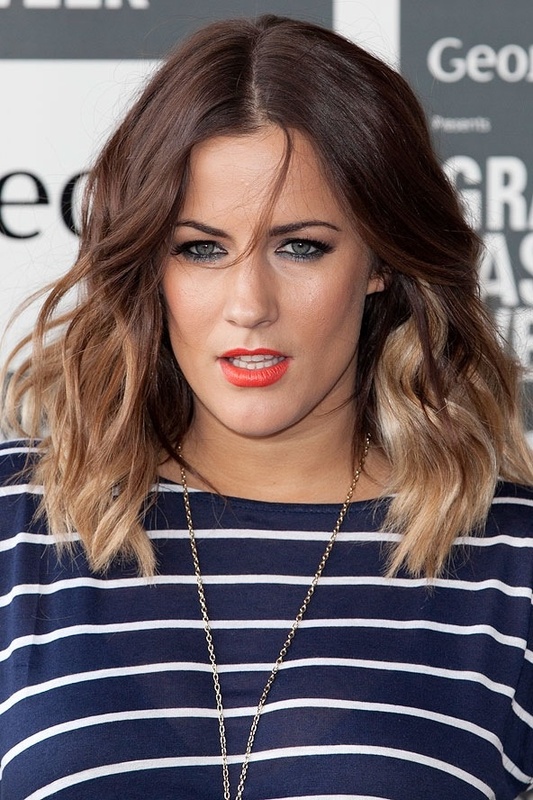 Choose an ombre transition to blend your hair from a light brown at the roots to an auburn at the ends of the hair. 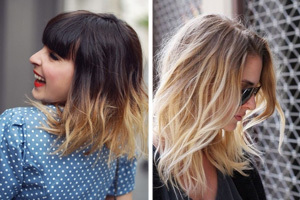 Her medium length hair falls a few inches below the shoulder. 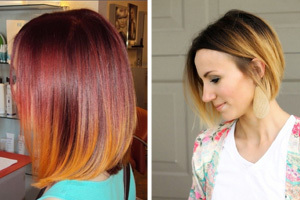 Keep the hair straight and sleek to show off the amazing colour transition at work here! 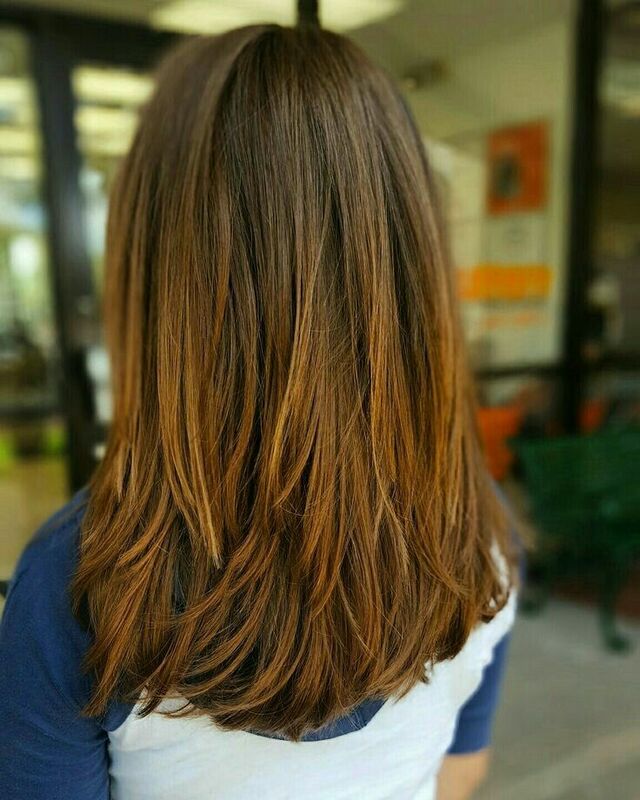 We absolutely adore this gorgeous medium length bob to finish this gallery off to perfection! 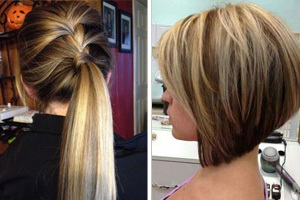 Choose quite a serious graduated bob. 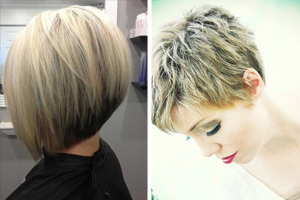 The layers need to be longer towards the front of the face and work into shorter layers towards the back of the head. 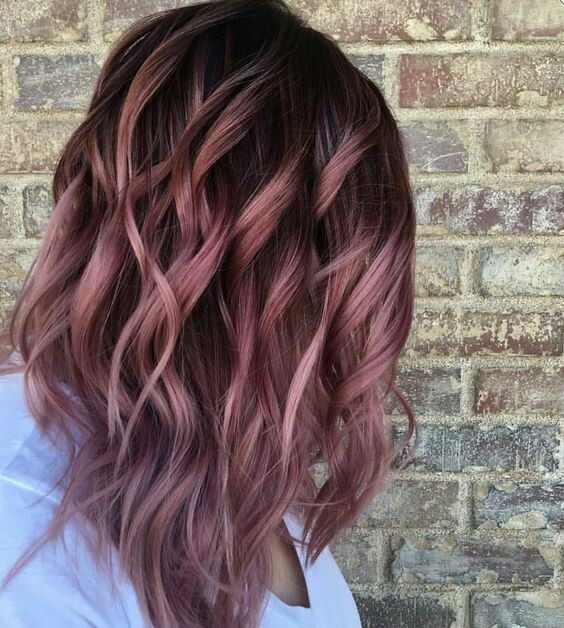 Add lots of pink highlights throughout your brown hair. 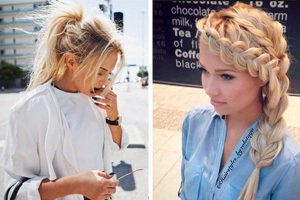 Part in the centre and add big, loose curls from top to bottom for an amazing finish. 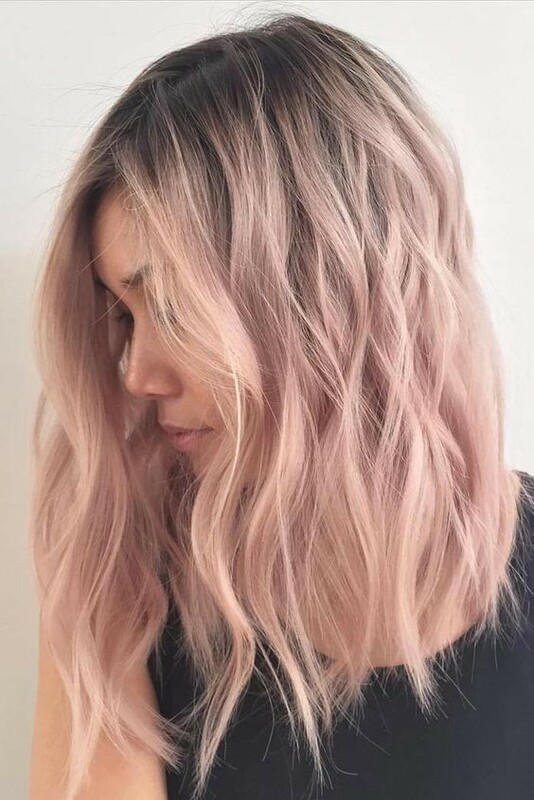 Will this be one of your best medium length hairstyles for 2017? For no-makeup, outdoor girls, the ‘wet and wild’ look is part of a trend to bring back the gelled, ‘wet-look’. On the other hand, it’s also being presented as a glamour look, on models looking ‘untamed and free’ under a waterfall! Many of the wet-look hairstyles for 2017 show the hair gelled and styled straight back from the forehead in a look that, to my mind, is not the most flattering way to show off your lovely hair!